Today I have to served lunch and dried dish and its very fun because I want to help people. About tomorrow we (June Carrot and I) will go to Luther High ohhhh my goodness when I heard about that my heart wwas like stop because I excited and nervous about that cause I don’t know what I will wear or what dhould I do what people gonna be blablablablablabla. Then tomorrow T.George will pick me up at house at7:30 and I so excited !!!!!!Agghhhhhhhhh. 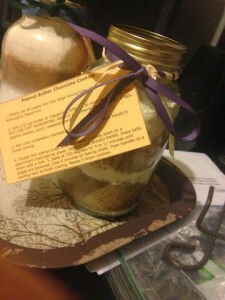 Then today at 6:00 pm we went to school to made a stuuf for mother day and we mad like cookies and its kind of like the thing that have to be in cookies and when I’m get in Thailand I will plus the peanutbutter and mix all the thing then bake it don’t worry it have recipe at the Jar it will be yummy!! !